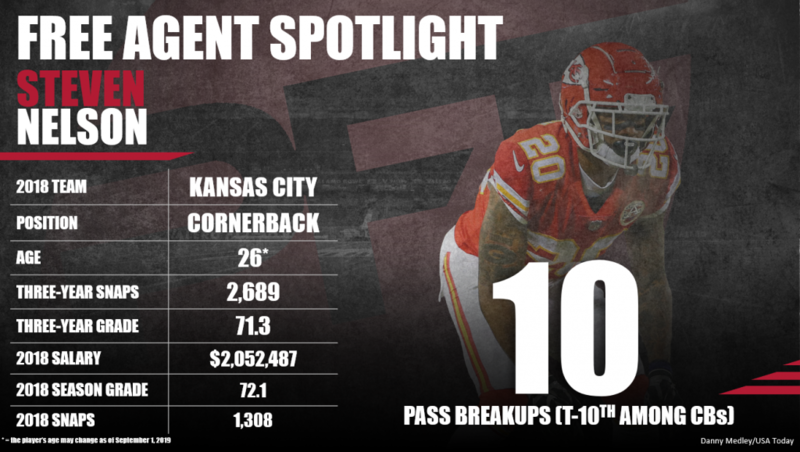 Steven Nelson picked the right time to have a career year, as he enters free agency coming off an impressive season where he was targeted more than any other cornerback in football and earned a 72.1 overall grade. Nelson struggled a bit down the stretch of 2018, earning sub 60.0 overall grades in four of his last five games of the year (includes postseason). However, he proved he’s capable of high-end play and should see a significant pay bump this offseason. Subscribe to Pro Football Focus’ ELITE subscription to research Steven Nelson’s grades, advanced stats, snaps and more in Premium Stats 2.0.